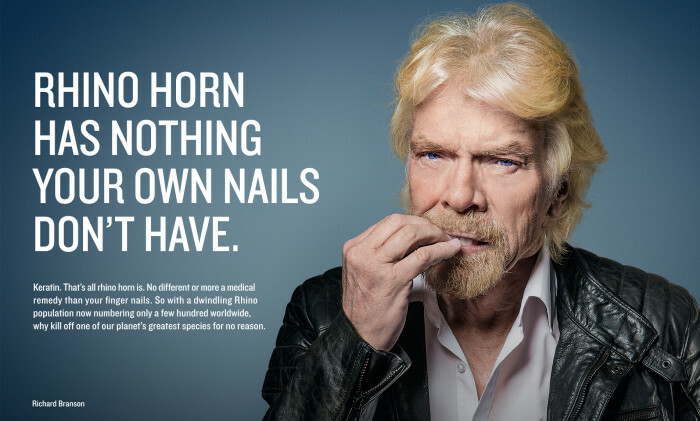 OgilvyOne Beijing has joined WildAid in its fight against rhino horn consumption with a new campaign “Nail Biters” launched in China. Rhinos are currently one of the most critically endangered species in the world, and yet poaching of this dwindling population has been on the continual rise since 2008. The black market is strongly driven by China due to a perception in Traditional China Medicine (TCM) that eating rhino horn has potent therapeutic properties. 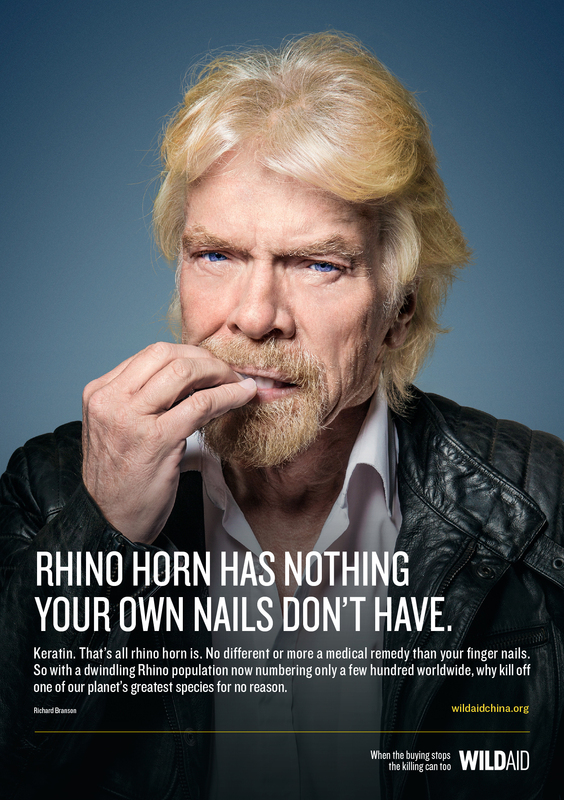 However, rhino horn is, in reality, made of keratin – the same protein that makes up our own nails and hair. 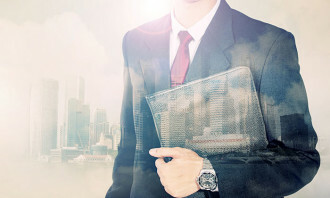 “Nail Biters” aims to call out this truth and, in doing so, changes the dialogue surrounding the practice. 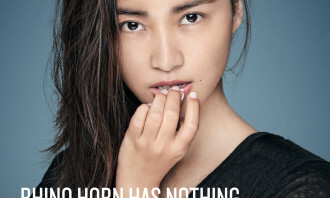 “We believe that constant and diverse awareness campaigns can drive down the value of rhino horn and can help end the rampant poaching of rhinos,” says May Mei, WildAid China chief representative. 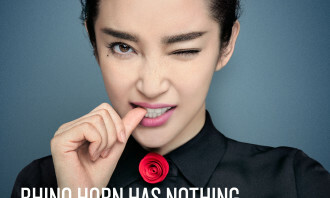 The core of the campaign begins with visuals of celebrities including Richard Branson, Li Bingbing, Chen Kun, and Jing Boran biting their nails and staring into the camera. 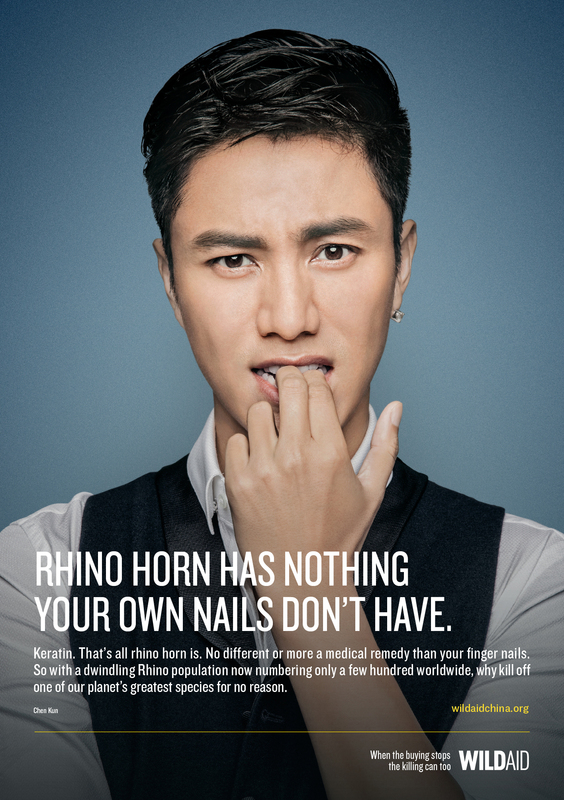 In English, the message reads: “Rhino horn has nothing your own nails don’t have”. 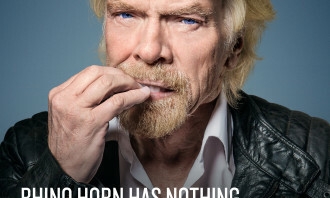 It’s embedded with a startling and easy-to-digest reality – the medicinal and mystical value of rhino horns is merely a piece of traditional mythology. 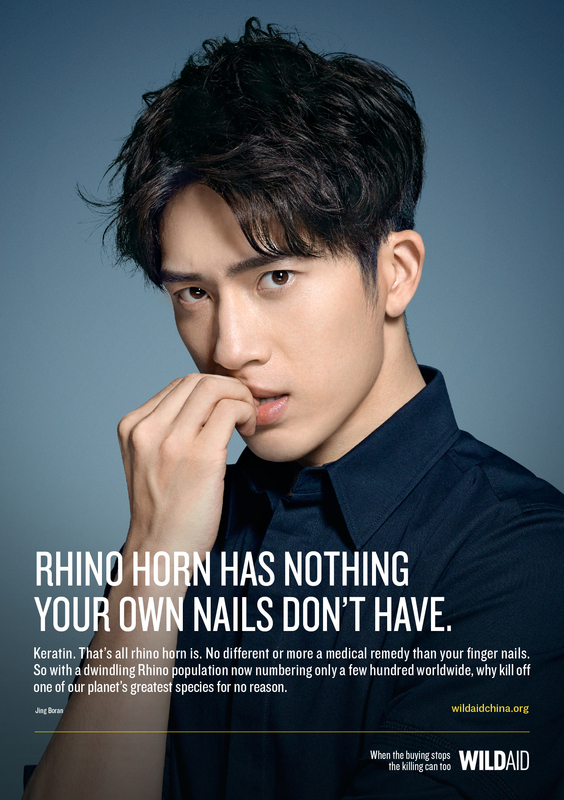 The campaign runs with a platform where celebrities and the public can take a collective and personal stand to say no to rhino horn, driving the message on both Weibo and Wechat. 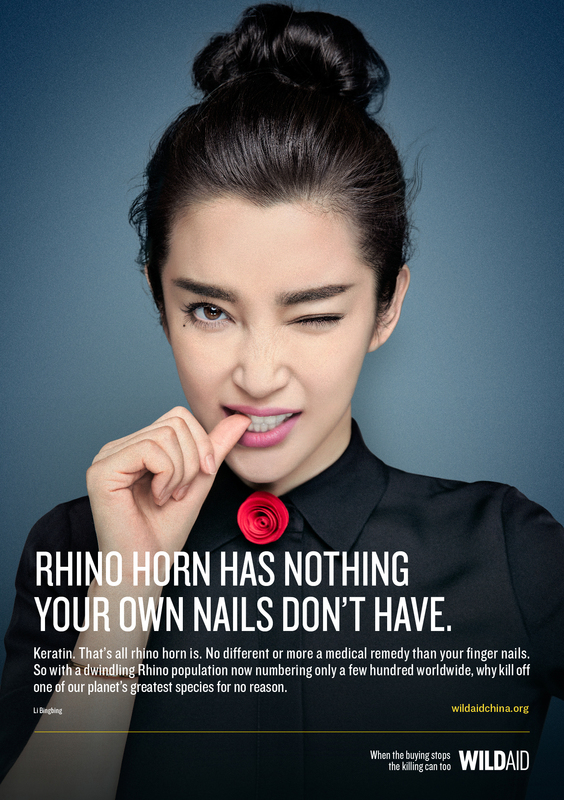 For Weibo, the hashtag #Eat your nails, not rhino horn# (#啃指甲救犀牛#) is amplified through celebrity and Key Opinion Leaders sharing on their Weibo pages, who are encouraged to tag their friends and share their nail-biting photo on a specially designed Weibo topic page, which was created by OgilvyOne to aggregate user-generated content. 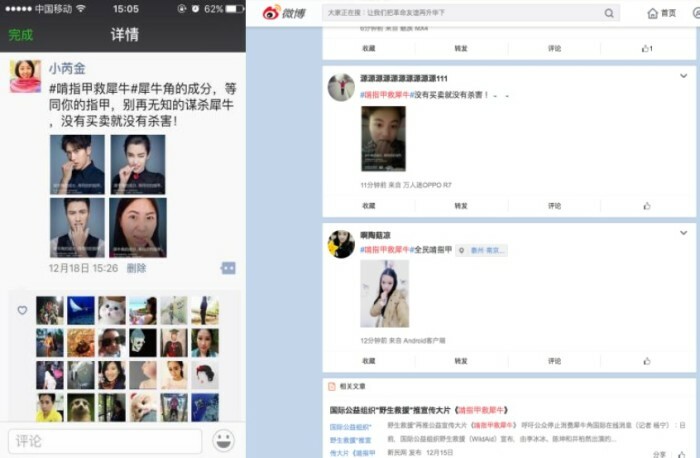 For Wechat, an H5 page has been developed where people can create their own “Nail Biter” posters, share their nail-biting selfies in moments and also invite a friend to nailbite right next door to their picture. 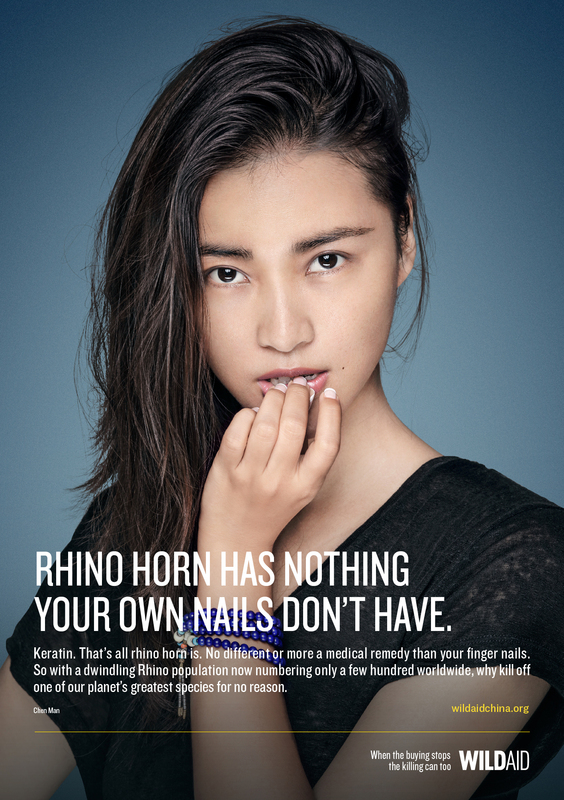 “We wanted to find a disarming way to get to the core of the rhino horn myth via A-List celebrities, who’d normally be dead against being seen biting their nails,” says Doug Schiff, ECD of OgilvyOne China. 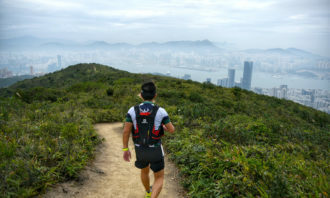 WildAid, an organization with the mission to end illegal wildlife trade, has made a name for itself in the past by enlisting celebrities like Yao Ming, who famously garnered attention surrounding shark fin consumption. 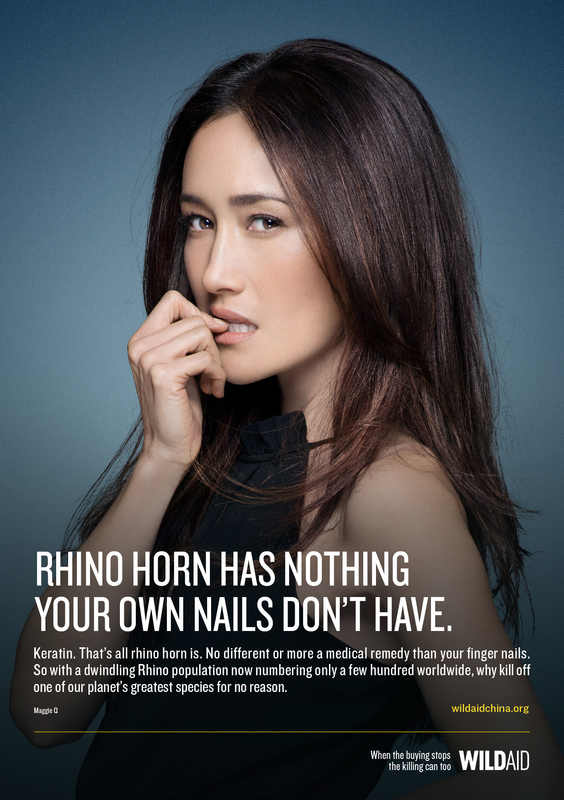 Since the launch of its 2013 rhino program, WildAid has been working to reduce rhino horn consumption in China and Vietnam through high profile media campaigns. 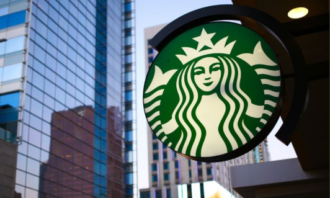 Alipay HK of Ant Financial Services Group and GCash announced the launch of a blockchain-based cross-border remittance service thr..
Will price hikes affect ad spend? 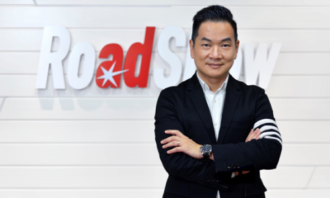 With the impending price hikes and looming introduction of GST, will Malaysia ad spend slow down while the rest of APAC picks up? 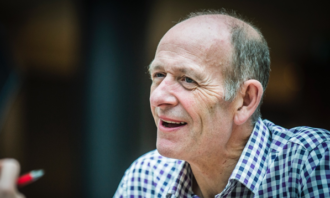 ..
Dentsu Möbius will be leading the account. ..